… How to Flavor Water Naturally and Gently! 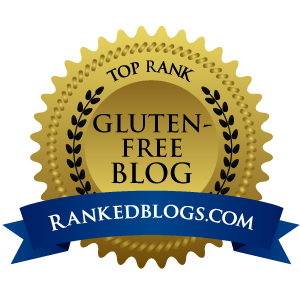 There’s no secret ingredient to this recipe post. There aren’t any careful measuring tips or critical steps to which you must adhere for perfect results. This is a simple recipe. But as simple as this concept is, this post might just change the way you look at your drinking water … or lemonade, iced tea, or even cocktails for that matter. I’m a firm believer in adequate hydration. Some who know me would argue that point and say I’m a fanatic – but that’s a story for another day. Today I’m just here to share a fun, tasty, no sugar added, naturally gluten-free, dairy-free way to jazz up your beverages. 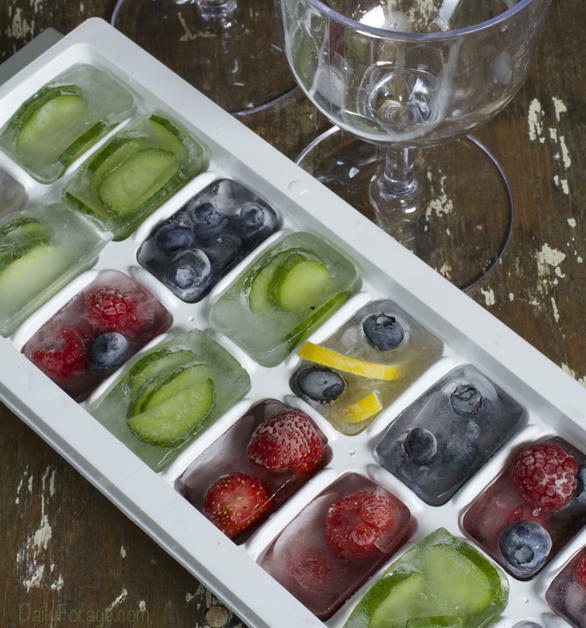 Add fruit and veggies to your ice cube trays. Fill with water. Freeze. Pop cubes into your favorite beverage. Voila! Told you there was nothing special here. Except there is … a beverage that slowly and gently becomes infused with your favorite essence. And the cool thing about this (I really don’t mean to keep doing these play on words), is that when fruit or veggies are frozen into ice cubes, the ice cubes melt more slowly. This keeps your drink cold longer, slows the amount of time it takes until it becomes watery or diluted, and gives you a sort of gradual introduction into the flavors being infused. Almost a tease of better, more intense flavors to come. I like that! Just about any fruit can be used, and many vegetables will work well too. As you can see in my photos, this time around I chose to use strawberries, blueberries, raspberries, lemon slices, and cucumber slices. I loved the lemon slices in my tea, the cucumber slices in my water, and the strawberry, raspberry, and blueberry cubes in my lemonade. Next time I’m using nectarine pieces and mint leaves for tea or lemonade, and celery and jalapeno for a Sunday morning Bloody Mary cocktail. 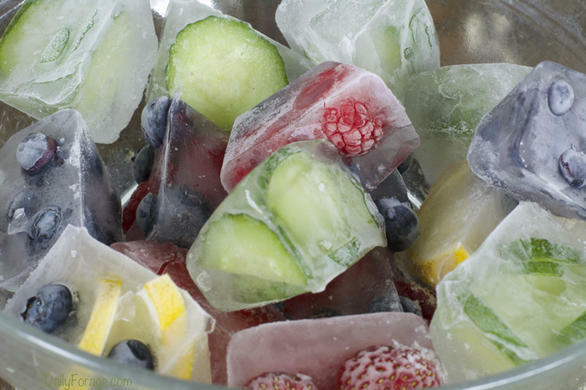 Want to step out of the box a bit further, infuse your tea, water, or lemonade with fruit-infused coconut water ice cubes by simply using, yep you guessed it, coconut water instead of regular water. Then you’re also getting a boost of potassium from the coconut water (albeit a small amount). You get the idea, right? No special ingredients, no careful planning and tips to heed, just your imagination to let run wild and explore the choices of creating naturally flavored water and beverages with no sugar added. Gotta love the possibilities! 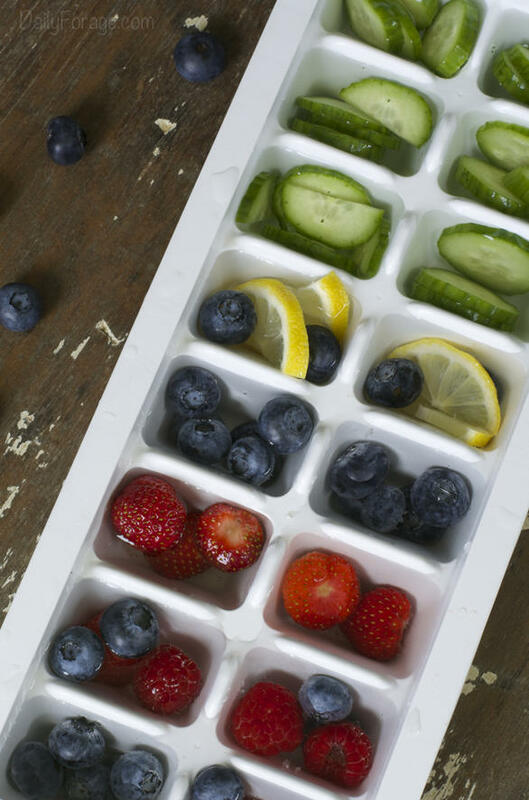 Distribute fruit and veggie pieces in the ice cube trays, leaving enough room for water to surround the pieces. Freeze until frozen solid, about 2 hours, or until ready to use. Add cubes to your favorite beverage.